Lake Tennyson draining into the Clarence River. Lake Tennyson Scenic Reserve. Saint James Range and Mount McCabe (1606m) centre left. 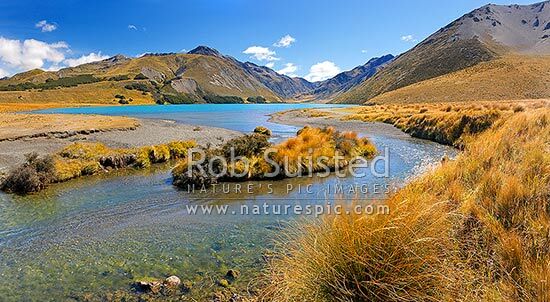 Panorama, St James Station, Hurunui District, Canterbury Region, New Zealand (NZ), stock photo.